This is my ship, the Nebuchadnezzar. Unfortunately, my modem router combo doesn’t like Star Trek Online and every time I try to play my Network crashes. Everything I have played so far, is exactly like I remember the beta that I participated in. My entire WoW guild played the beta. I enjoyed it. I was ready to put down the money to buy a lifetime membership which they were offering at launch. But I ended up being the only one in my guild to like the game. So, I never even bought it. 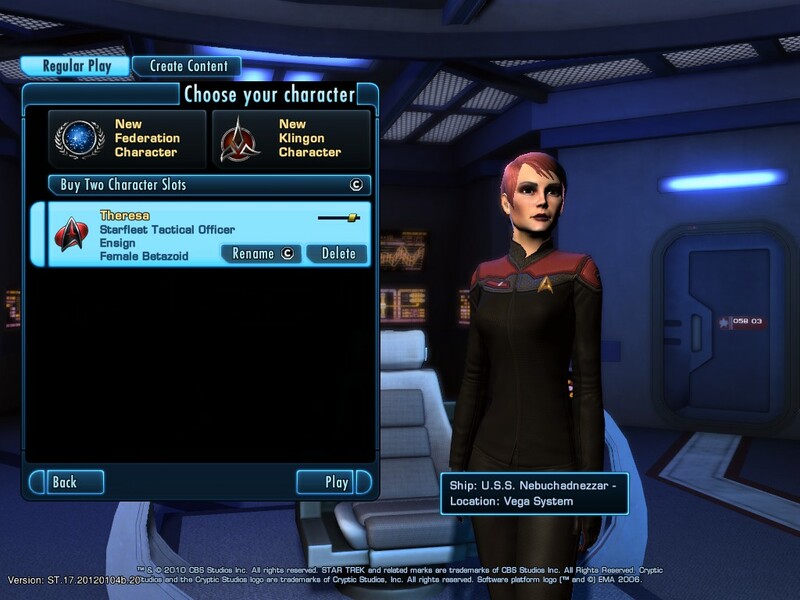 When Star Trek Online finally went free to play I thought it would be the perfect opportunity to continue the journey I began during the beta and, of course, start it again since beta characters don’t save. So I downloaded the game and made my character. I chose pink hair, which is a first for me, since I didn’t find a red. Star Trek online is a pretty hefty download. It’s a big game, about as big as you’d expect for an MMO like this. I think it is definitely worth the time to download it. The game gives you plenty of options for creating your character. You have a myriad of choices for species. I chose Betazoid. You can outfit yourself with a handful of different uniforms and each one can be mixed and matched. You also choose your career path (Engineering, science or Tactical) and your traits. I didn’t get to play much of the game but from what I have played, both recently and in the beta, the gameplay is broken up into two types, ground and space. On the ground you and your away team, armed with phasers (and a few other choices), travel by foot to complete various missions. 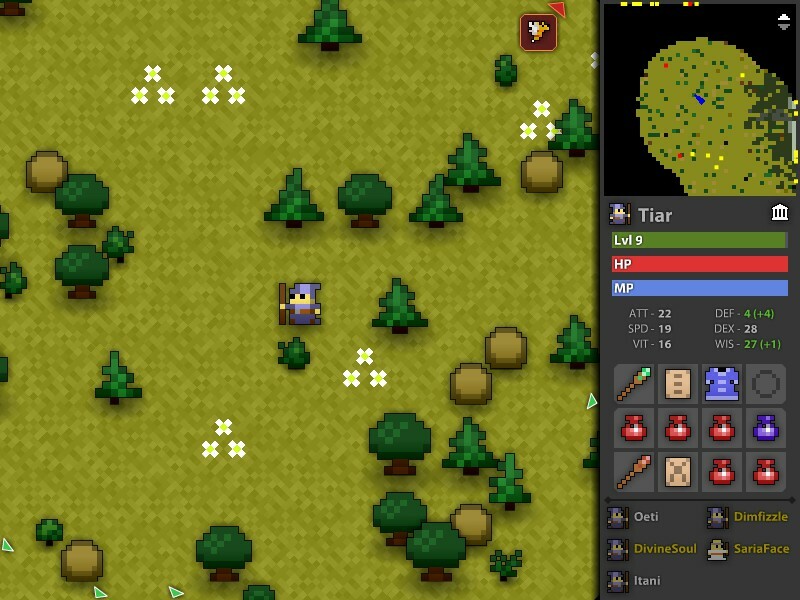 The ground gameplay is very similar to any other MMO. If you have ever played WoW or any game like it then you should know what to expect. The combat seemed a bit slower than WoW. Which to me is a good thing. I felt like I had time to make choices. That may have just been because I only had a few choices of things to do this early on. In space the main goal is to keep the enemy ships at your flank so you can fire forward and rear weapons at once. You can divert energy to your shields or even thrusters to increase your speed, though I think that last one isn’t intended for combat. When you have more officers on your ship you get to unlock special abilities which aid in space combat. I found space combat enjoyable. I should mention that space combat feels a bit more like a dogfight than a battle between two massive ships. That can be either a good thing or a bad thing. My name is Captain Theresa of the U.S.S. 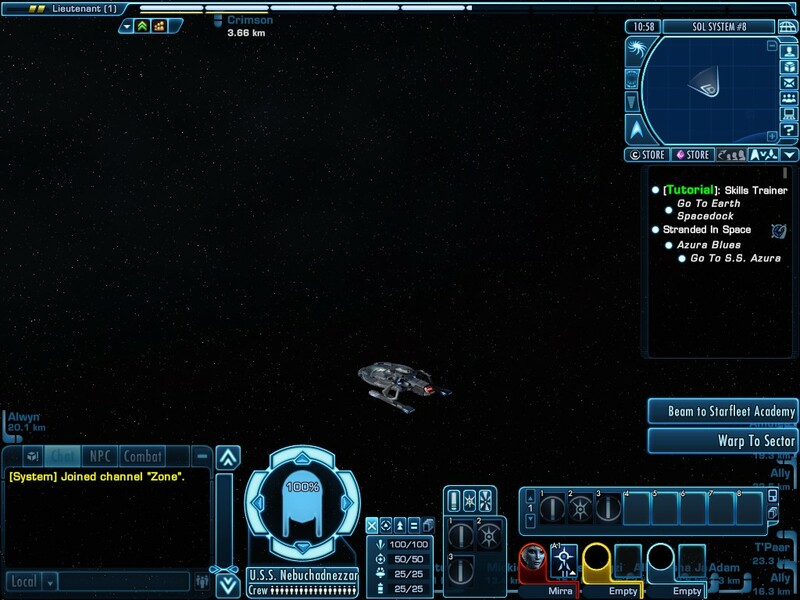 Nebuchadnezzar and I highly recommend Star Trek Online for any fan of space or sci-fi. That is especially true for Star Trek fans. I watched TNG when I was younger and being able to pilot my own ship is awesome. Not much can be said about Realm of the Mad God. That’s because the download is so short that it takes as long to read impressions as trying it out yourself. If I had to compare Realm of the Mad God to any other game it would probably be Gauntlet. 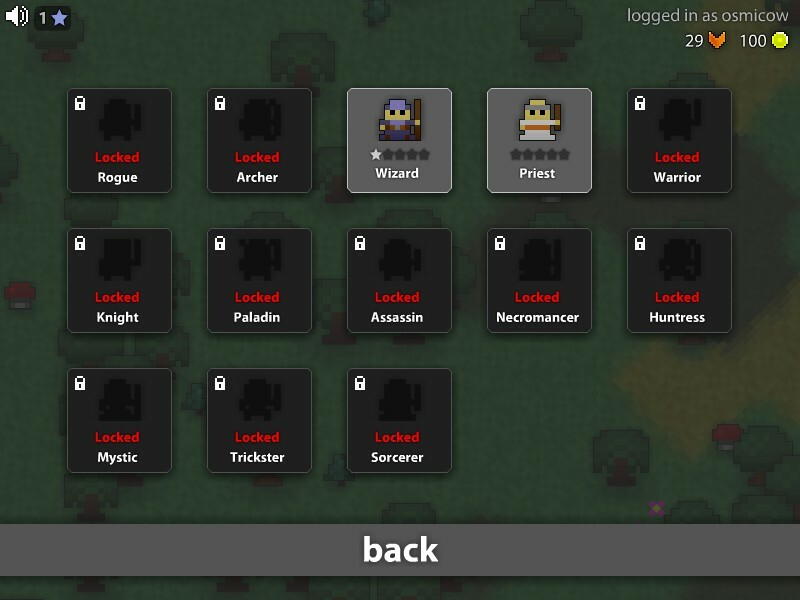 You start of as a Wizard and other classes become unlocked. Most of the game that I saw consists of running around killing things until you die. You level up and gear falls straight to the floor and anyone can pick it up. The game is massively multiplayer so it is common to see other people running around killing mosters as well. The game features “PermaDeaths,” so you’ll need to make a new character every time you play. That actually gives the game a nice casual arcade feel to it. The game has 8 bit style art. 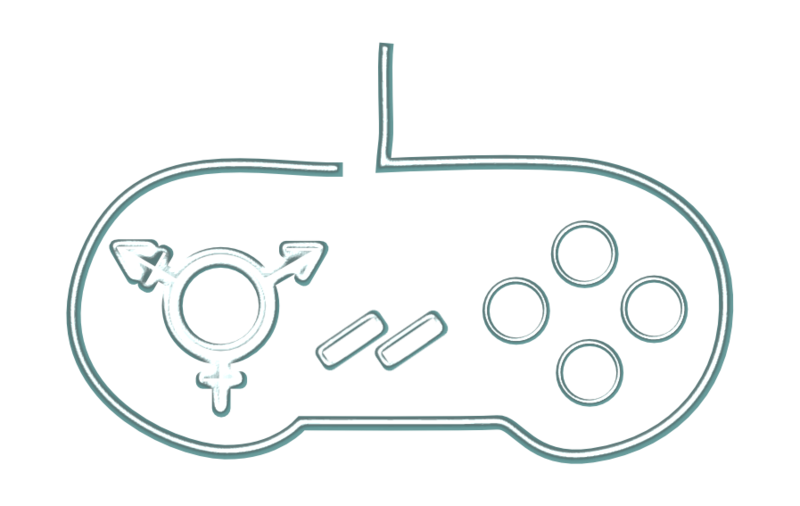 It has a lot of classes to choose from once you unlock them and it’s free to play on steam.